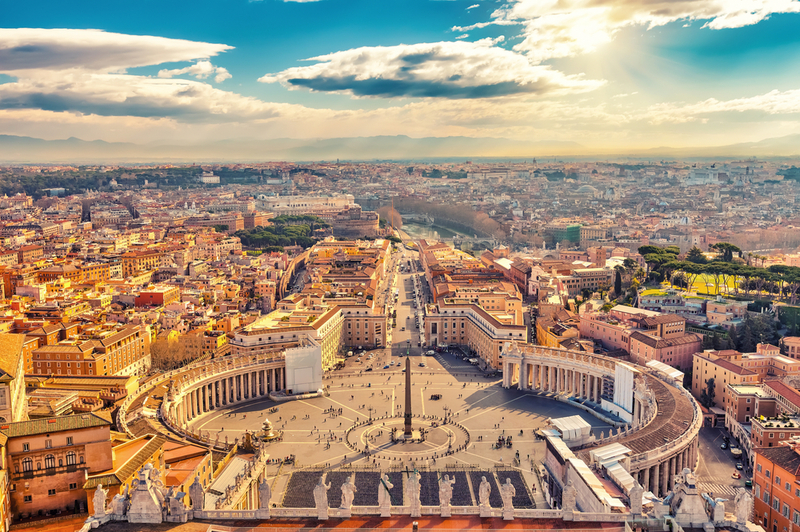 The Italian capital known for its rich past and outstanding cultural beauty, Rome is truly a mesmerizing place to enjoy a fabulous and engaging trip to Europe. With its massive collection of attractions including Colosseum, Roman Forum, Trevi Fountain, Pantheon, St. Peter’s Basilica, Piazza Navona, Castel Sant’Angelo, Spanish Steps, Sistine Chapel, Capitoline Hill, Galleria Borghese and many more, you can have a spellbinding trip to this astonishing Italian treasure that have stored the essence of its heritage and culture till date and giving people loads of information related to its past and present. Besides, the amazing weather conditions are simply superb to enjoy a vacation in Italy and give you many delights including affordable stays and cheap flight deals. 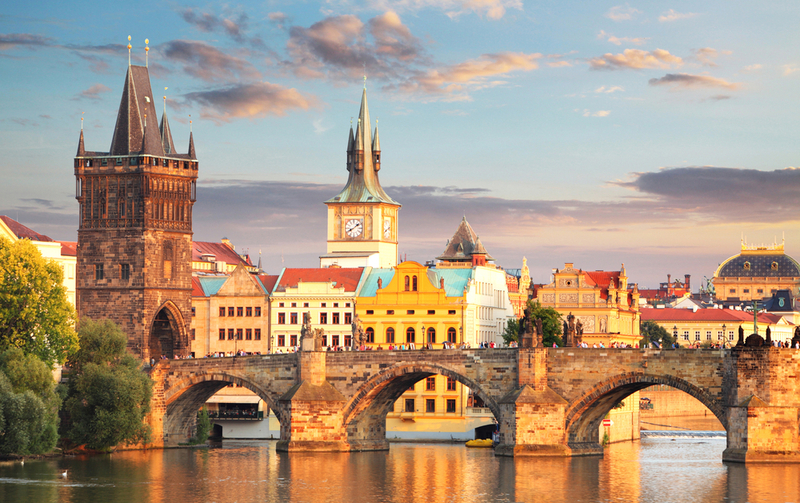 The Czech capital Prague is one of the most beautiful, romantic and enthralling getaway destinations in the Europe and is visited by millions of tourists every year, seeking some beautiful sights of the cityscape, marvelous romantic landscapes and much more. The Old Town Square, Astronomical Clock, Gothic architectures, spellbinding churches, catholic statues and much more are the overview of this detailed, historically rich and captivating destination. Although, people who have been visiting Prague find the city quite expensive during the peak season, but if you plan your trip to Prague during the month of November, you will find the conurbation quite welcoming and affordable in terms of hotel stays and flight tickets. The French capital Paris require no introduction to everyone except the fact that Paris too can be easy to afford and can give you a magnificent experience. 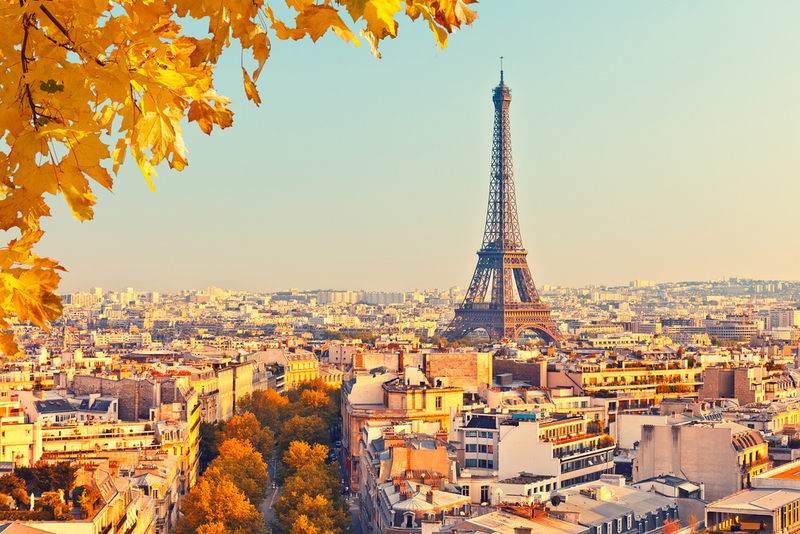 The spellbinding range of captivating sites, superlative landscapes, breathtaking atmosphere, delicious eateries, fantastic culture and much more can easily be witnessed if you plan the trip to Paris in the month of November. Experiencing its shoulder season before the big celebration of New Year, Paris enjoy the shoulder season and give everyone the reason to enjoy equally with its affordable stays, discounted flight tickets and so much more. So, if you are ready to witness it all with your love and planning a trip to Europe in November, Paris could be your next stop. Arguably one of the most famous Turkish cities, Istanbul is one of the most spellbinding and engaging cities of the region with a massive cultural diversity which can easily be seen. With places that are existing since the sixth-century, the city is a massive treasure of culture, natural beauty and heritage. 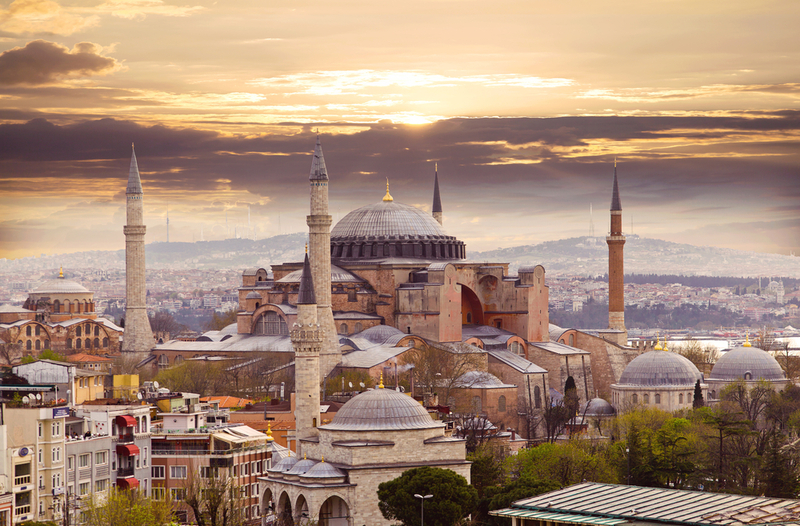 Hence, people who love to enjoy the culture and history that combines Europe and Asia are found taking flights to Istanbul more frequently and visiting the most prominent attractions including Hagia Sophia, Sultan Ahmed Mosque, Bosphorus, Grand Bazaar, Basilica Cistern, Spice Bazaar, Hippodrome of Constantinople, Maiden’s Tower, Suleymaniye Mosque, Golden Horn, Taksim Square, Chora Church and many more. The British Capital is among the most spellbinding and desired cities in the entire Europe for traveling lovers and if you are planning your next getaway anytime soon in the month of November, then you will find London as amazing as ever with the bonus of being affordable and less crowded. Right before the Christmas and New Year when thousands of travelers flock the streets of London, November is the time when you can enjoy the best of the city whilst paying less. 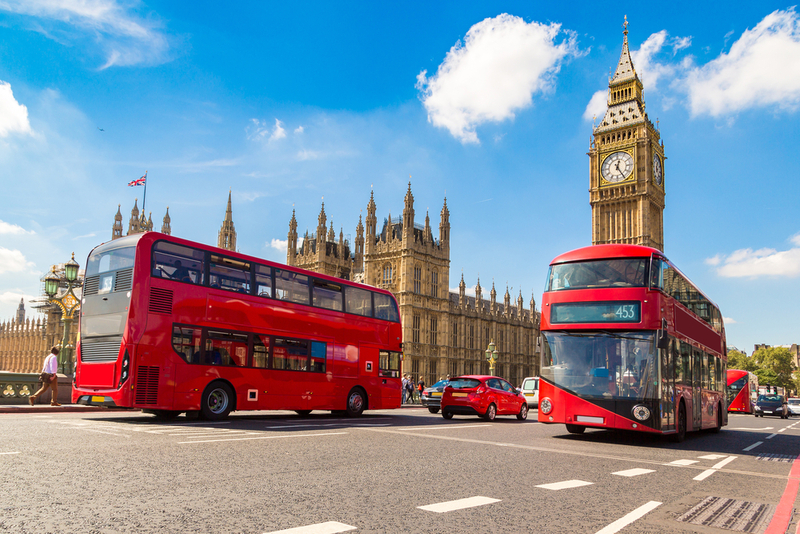 Not only the discounted flight deals will give you the delight, but also the cheap hotel stays and remarkable experiences with fewer crowds will be an add-on on your trip to the British capital. Be it Big Ben, Buckingham Palace, Tower of London, British Museum, Tower Bridge or any other attraction, you can have the best experience of all time in London. European continent is featured with many big names that can immediately strike your mind with some amazing pictures you might have seen on the internet or even in the movies. 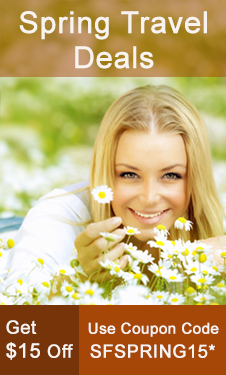 So, if you are allured by the charm and beauty of the Europe and looking forward for an amazing and joyful vacation in this upcoming month of November, then all you need now is to pick one destination for you and book your flights to Europe with SmartFares to avail our special offers on international flights designed for your convenience and budget. Located on the southwestern part of the country of Macedonia, Ohrid is a land-locked city and enjoys the subtropical climate conditions which makes the city quite hot and humid especially during the summers. However, the open space and wide stretch of natural plains and mountains give some relief to explore the natural sites and outskirts. Frequent travelers who are taking flights to Ohrid from various parts of the world have found the city best enjoyable during the winters i.e. from the fall of November till the late February when the weather conditions remain enjoyable and leave the outskirts open to explore. However, if you are planning to visit Ohrid on budget and like to have some quality time, the months of September, October, March and April are good to go. Ohrid is a small and compact city with a small city center and limited number of districts which makes the city quite easy to access. However, being a heritage site and with fewer facilities, you will not be able to find a frequent and flawless transportation medium. Though if you like to explore the outskirts and don’t hesitate to walk a few miles in a day, walking around the city will be the best option. One can also use the local taxis that are easy to find, but should remain cautious as some taxi drivers are claimed to be hacking the fare meter and may charge you a fortune if find you a tourist. The city center is a well-developed region and you can enjoy all the facilities you expect in the remote areas of the Macedonia. Ohrid is a small city with a massive history that goes from the ancient age to medieval era to modern history. Hence, you will find a big number of historical, cultural and natural sites covering the entire plateau of the city. 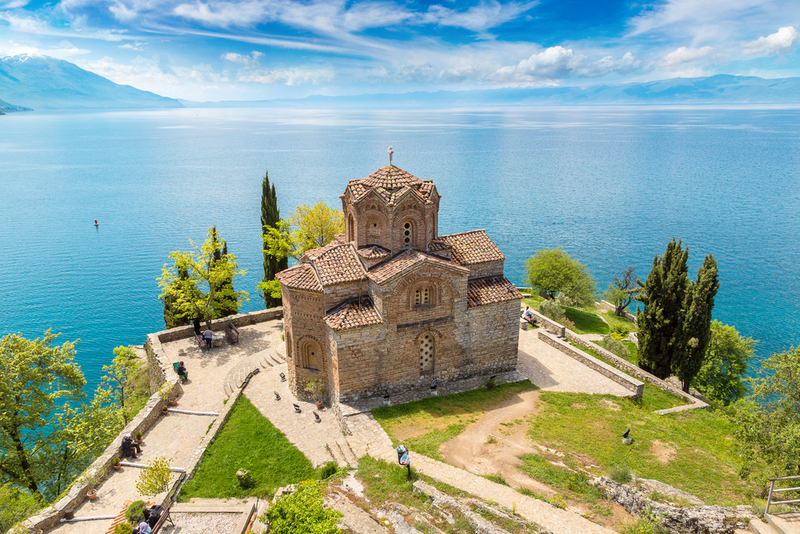 Though many people love to enjoy the nature and history of Ohrid, yet if you are a first-timer, you will find the churces and cathedrals of Ohrid quite enthralling and enjoyable. Places like Church of St. John, Samuel’s Fortress, Robevi Family House, Church of St. Sophia, Ancient Theater of Ohrid, Church of St. Clement and Panteleimon, Upper Gate, Holy Mary Perybleptos, Varosh Old Town, Beach Potpesh, Struga Dam, A. Den Doolaard Museum, Struga Pier, Grigor Prlichev House, Dutch Park, Metropol, Dr. Nikola Nezlobinski Museum, The House of Urania, Aquarius Beach and many more places are the biggest attractions you can come across this stunning city of Ohrid. Ohrid is a complete package of nature, modern lifestyle and ancient history and you can easily come across all the attributes without strolling too much in the boulevards of the city. There are many excavation sites across the city and in the outskirts that are available to be visited by tourists from a significant distance along with many extraordinary natural landscapes and colorful places to give you a refreshing experience. Besides all the nature and heritage, you will find the city quite modern and can enjoy the nightlife by visiting the magnificent regional casinos and bars available for everyone to enjoy some quality time in Macedonia and learn a lot about the current trend and culture of Ohrid. Ohrid has recently become a hyped destination for archaeologists and there are a lot of happening in the city and its surroundings. With Lake Ohrid and mesmerizing mountains in the surrounding, you can find ample of places to enjoy a refreshing and laid-back getaway in Ohrid. Though the accommodation options are comparatively limited, yet you can easily find some quality stay if you begin to search for your hotel early enough. The taxi drivers are notorious for overcharging and making language barrier an excuse of misunderstanding, so it is advised to follow the precautions while using the taxis. There are many artifacts and souvenirs that are faked by the locals to sell at higher price. So, if you can’t differentiate between the original and fake, it is advised to stay away from such purchases. Ohrid is a spellbinding city nestled on the banks of the Lake Ohrid and surrounded by the beautiful mountains which have been giving the city an outlook of a superlative getaway destination. Besides all the natural beauty, Ohrid is also boasted with a marvelous heritage and ancient sites that are recently dug-up and have brought the attention of history lovers worldwide. So, if you are ready to enjoy a fascinating journey to this part of the Macedonia, then all you have to do is to get connected with SmartFares and get some amazing deals and offers on Flights and be amazed by the astonishing beauty of Macedonia whilst saving a good fortune on your traveling expenses. SmartFares guards your privacy and security. We're certified by GeoTrust. � 2012 Blog.SmartFares.com All rights reserved. CST#: 2103435-40.